"... Jannowitz Records is happy to announce a collaboration with the Ibiza based radio ' Pure Ibiza Radio ' hosted by Frankye Lova. Every month there will be a special guest from the Jannowitz rooster. 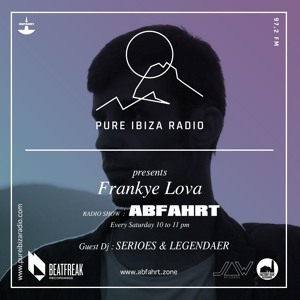 "... Beatfreak is happy to announce its collaboration with the Ibiza based radio ' Pure Ibiza Radio ' hosted by Frankye Lova. Every month there will be a special guest from the Beatfreak roster. ..."
Carry listeners in an EPIC state of mind with good electronic music. "music is the answer to all the problems " is our mantra!! !